>>> OUR NEW HOME: https://ascendance.audio <<< [ Representing Music from International Record Labels 'Beyond Perception Music', 'AscendanceAudio', 'AscendanceAbstract' & their founder 'Arrakeen'! ] 'Beyond Perception Music' & its sister Label 'AscendanceAudio' (and sub-label AscendanceAbstract) are Trance Music digital record labels of premium quality template free music of any style within the genre of Trance, and sometimes even beyond... Anything emotional, captivating and intriguing... odd even. We do things differently and we do it for the artist. ______ Our founder originates from South East Asia with over 2 decades of experience in the scene as both a DJ and Artist/Producer. 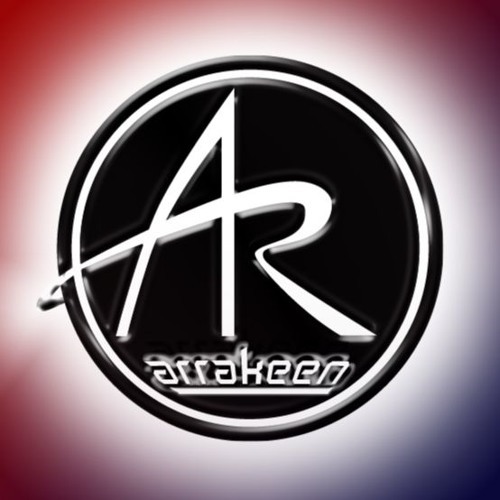 'Arrakeen' is an accomplished self-taught musician with an 'artists first' mindset which he applies to the way he runs his labels, having respect for the artist who entrusts their music with him, over the business aspect of running a label... Having picked up his first decks at age 15 in the late 90's, he taught himself how to mix out of pure love of trance music and the way it manipulated his emotions. With signings of originals and remixes spanning the globe since he's first attempt at producing in 2006 to date, with most of his original works signed to the giant Bonzai Music's various Sub-Labels, it was in 2013 that his personal favourite production "Missing You" was released on Camouflage with uplifting & euphoric sounds by not only himself, but remixes side by side with World-Famous Rene Ablaze, label boss of Redux Recordings, and Orchestrance maestro Ahmed Romel. He's technical ability to capture audiences and taking them on a melodic journey through his unique sound and on the fly mixing never failed to impress and enter 2015, Arrakeen started Beyond Perception Music, a Label geared towards nurturing and growing young talent in his region of the world through one-on-one coaching and quality remixes toward a final release ready package with 'something for everyone' and fresh and powerful sound, thanks in big part to the many friendships he made over the years in the Trance and Progressive scene, and often times even remixing himself! Mid way through, AscendanceAudio Sub-Label was born, a place not to outshine new talent but to give the 'ascended' recognition deserved and a place for all to strive toward, as quality unexpected derived... 2015 will also see the release of his long-awaited single "Goodbye My Friend" on arguably the best label in uplifting and orchestral Trance, Abora Recordings, of which he has been a die-hard fan and contributor towards. Currently he shares this page with the Labels as its history is all here. We sincerely hope for your support towards his cause to help those just falling short or those who are struggling hard to be noticed, when their sound is big but name unknown... And also thank the veterans and mega talented for lending us a hand and the supporters and listeners who make it all worthwhile. :) Do buy their music and help support the artist and label who make it all possible out of pure love and passion for all things trance. We'll let his playlists here speak for itself... Connect with Arrakeen & the Labels @ the links below! Do drop us a LIKE too as we really do need it! :) Cheers! [A&R Team @ Beyond Perception Music] demos[@]bpm-recordings.com (Links to full 320kbos only please) Do send promos to promos[@]arrakeenmusic.com and not the above, and hit us up if you would like a world-class remix without an sort of upfront payment as it's done out of love and passion each time! Welcome to our home!